The New York Times ran a story on January 14, 2009 about the growing problem of scam artists posing as "foreclosure experts." You can read the entire story on the NY Times.com website. Remember, these 'experts' are mostly unregulated by the state or federal government. Beware! S/he asks for money up-front - The New York Times story points out that in 20 of the 50 US states, companies are prohibited from asking for money until they've completed services. You didn't have to fill out a form authorizing the "expert" to talk with your lender - No lender will speak with someone else about your loan without your written permission first. That permission should include at a minimum your full name, the property address, your social security number, your loan number and a starting and ending date for the permission you're granting. Most lenders accept a fax form letter, but almost all lenders want you to send it to a number not listed on your payment coupon book or monthly invoice. It can take a few days to a week for lenders to process that paperwork. The expert says "don't talk with your lender anymore" - Giving someone else permission to speak with your lender about your loan doesn't mean you can't continue speaking with them. You can and you should. Call your lender and make sure they're hearing from the "expert" you hired. The promises the "expert" makes sound too good to be true - Your mother was right: if it sounds too good to be true, it probably is. The "expert" says s/he'll buy the house from you and re-sell it to someone who will want you to stay as a tenant - I have a friend who fell for this one. The "expert" verbally promised to find an investor who wanted to buy a house with a tenant already in place. It seemed to good to be true and it was. None of the documents he presented for signature had that clause in writing. When the investor showed up to see the house he was buying, he started measuring to see if his own furniture would fit in the rooms. Instead of falling for a potential scam, do some homework first. Call the Better Business Bureau to see if the "expert" has had complaints filed against him/her. 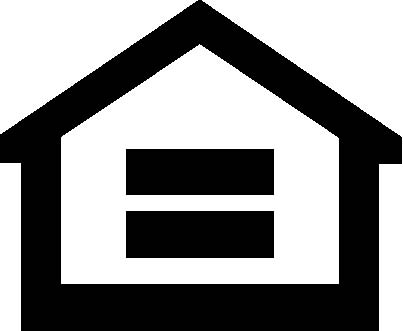 Check the HUD (US Government Department of Housing and Urban Development) website for help under their Hope Now program. In nearly all cases, you don't need a foreclosure expert's help. You may need to hire an attorney to help you analyze the loan modification agreement your bank offers, but you don't need an "expert." I Got a Notice of Trustee's Sale. What Now?